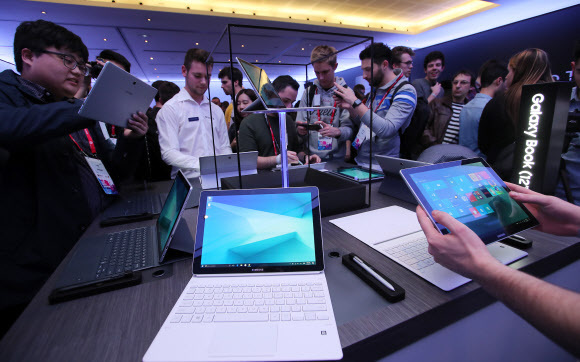 Samsung Electronics Co. sold more than 110,000 units of its convertible laptop, Pen, up till last month after the device was released in the local market in December 2017, industry sources said Tuesday. Considering the popularity, the South Korean tech giant is expected to sell 120,000 units of its versatile laptop, which can also function as a tablet PC, by the end of this year. The sales performance is significant as the size of the South Korean market for laptops has been decreasing over previous quarters amid the rising presence of smartphones and desktop PCs. Over the January-September period, the shipment of laptops in South Korea came to 1.87 million units, down 7.2 percent on-year, the International Data Corporation Korea's data showed.